Prince Harry accepted a posthumous award for his mother's groundbreaking work raising HIV and AIDS awareness by Attitude magazine this evening. "William and I are incredibly proud of what our mother achieved. And we thank you for awarding her the Legacy Award," he said of the late Princess Diana. Collecting the award on his and his brother Prince William's behalf, Harry recalled his mother's work ending the stigma around AIDS. Diana famously changed the public perception of AIDS when she shook hands and kissed the cheek of an AIDS patient, showing that the virus could not be transferred from casual contact. 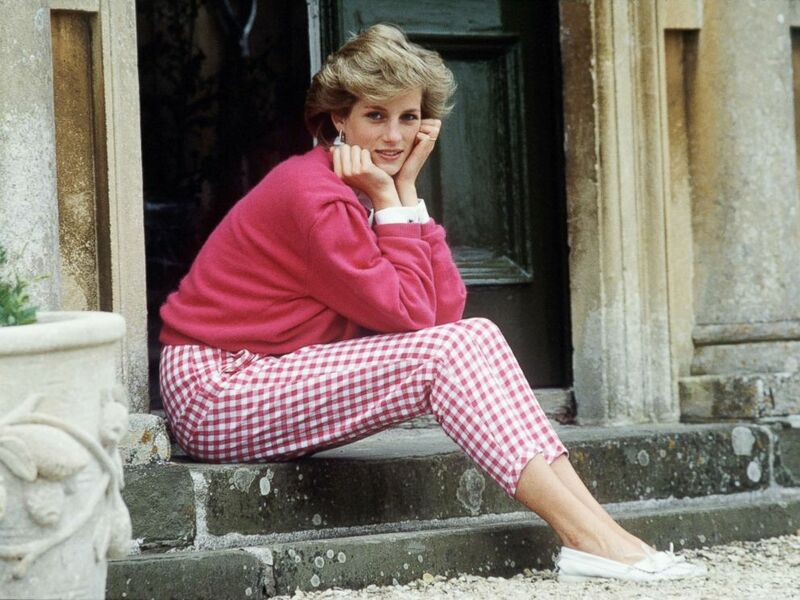 Princess Diana sitting on the steps of her home at Highgrove, Gloucestershire, U.K., July 18, 1986. "She knew exactly what she was doing," Harry told the audience as he accepted the award. "She was using her position as Princess of Wales, the most famous woman in the world, to challenge everyone to educate themselves, to find their compassion, and to reach out to those who need help instead of pushing them away." Throughout her short life, Diana campaigned for increased resources and a change in the way people treated victims of the disease. Harry, 33, and William, 35, have vowed to carry on their mother's work and legacy. Prince Harry made a heartfelt tribute to his mother in setting up the charity "Sentebale," which means "forget me not," to help the vulnerable children in southern Africa struggling with HIV and AIDS. He has campaigned tirelessly following in his mother's footsteps for a greater understanding and funding for the disease. Princess Diana, Princess of Wales with her sons Prince William and Prince Harry attend the Heads of State VE Remembrance Service in Hyde Park in this May 7, 1995, in London. Last year, William appeared on the cover of Attitude magazine, who held the awards tonight, speaking out against homophobia, bullying and prejudice. 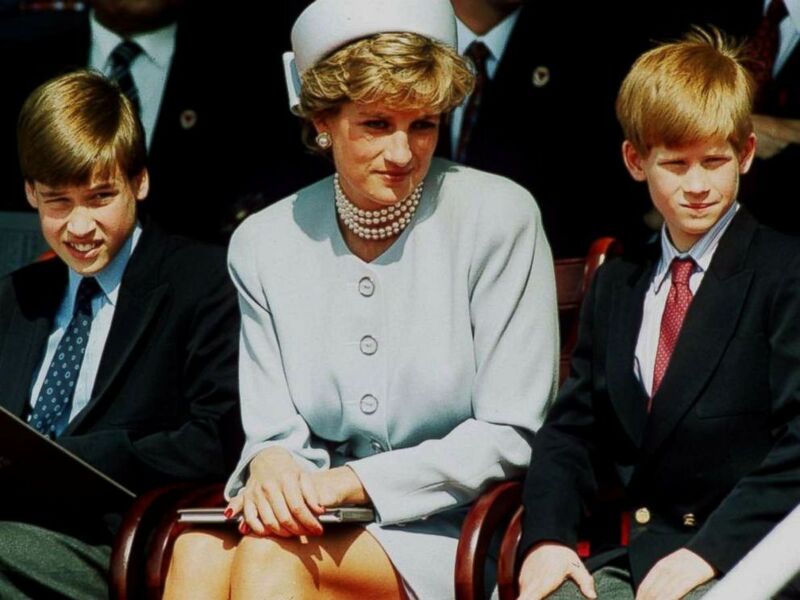 The brothers have spent the last six months commemorating their mother's memory and work leading up to the 20th anniversary of Diana's tragic death in a car crash in Paris Aug. 31, 1997. "I often wonder about what she would be doing to continue the fight against HIV and AIDS if she were still with us today," Harry said at the ceremony. Harry will travel to the U.S. later this month for an event with former President Barack Obama. 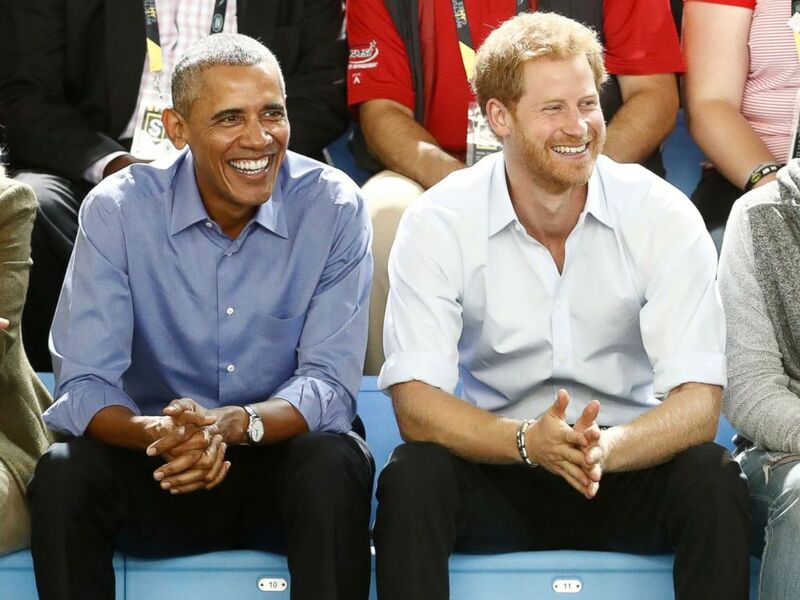 Britain's Prince Harry (R) and former President Barack Obama watch a wheelchair basketball event during the Invictus Games in Toronto, Sept. 29, 2017. Kensington Palace announced Thursday that Harry will visit Chicago on Oct. 31 to attend the inaugural Summit of the Obama Foundation. 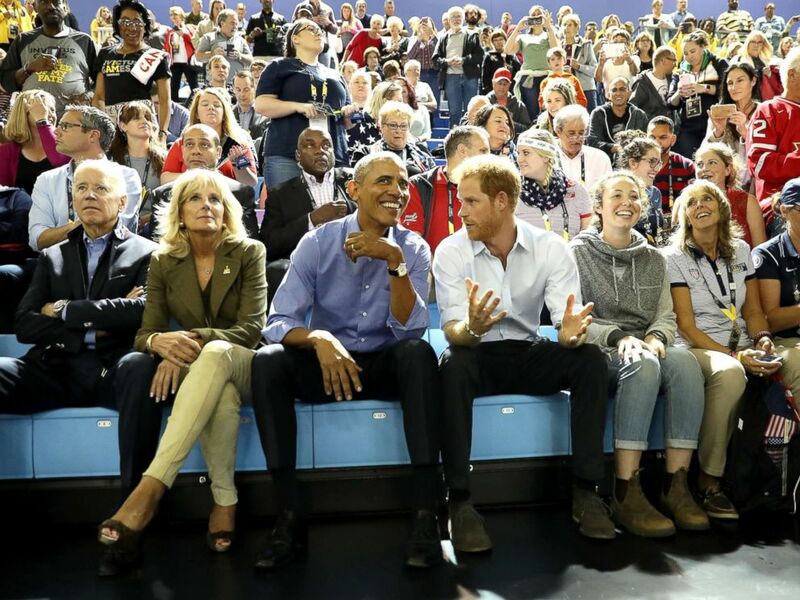 Harry and Obama made headlines last month for a surprise appearance, alongside former Vice President Joe Biden and his wife, Dr. Jill Biden, at a wheelchair basketball match at the Invictus Games in Toronto. Pictured (L-R) are former Vice President Joe Biden, former second lady Jill Biden, former President Barack Obama and Prince Harry on day 7 of the Invictus Games 2017, Sept. 29, 2017 in Toronto. Barack Obama and Michelle Obama were early supporters of the Invictus Games, the Paralympic-style competition Harry founded in 2014 for wounded service members. Michelle Obama headlined the opening ceremony at the 2016 Invictus Games in Orlando with Harry.